While Uber is still entangled in court with Waymo, rival Lyft has inked a partnership with startup nuTonomy to further its own autonomous driving efforts, the companies announced on Tuesday. Why it matters: Ride-hailing companies like Lyft and Uber have made bold statements about their futures are purveyors of self-driving-car rides. To make good on those statements, Lyft is inking new partnerships to develop the technology and software it'll need. Lyft already has a partnership with General Motors, although GM says it's not affected by the nuTonomy alliance. The deal: The companies' work together will be focused on the passenger experience when hailing and riding in self-driving cars. After initially integrating nuTonomy's software and cars into Lyft's apps and service, the companies will deploy a pilot program in Boston, where nuTonomy is based, in the coming months. The test program will use Renault Zoe cars, just as with nuTonomy's other programs in Singapore and Boston, and a version of Lyft's app will be displayed on a console inside the cars. The companies declined to comment on the number of cars the test program will initially include, though nuTonomy co-founder and CEO Karl Iagnemma said that his company wants "to end up with many thousands of nuTonomy vehicles on the Lyft platform in the future." 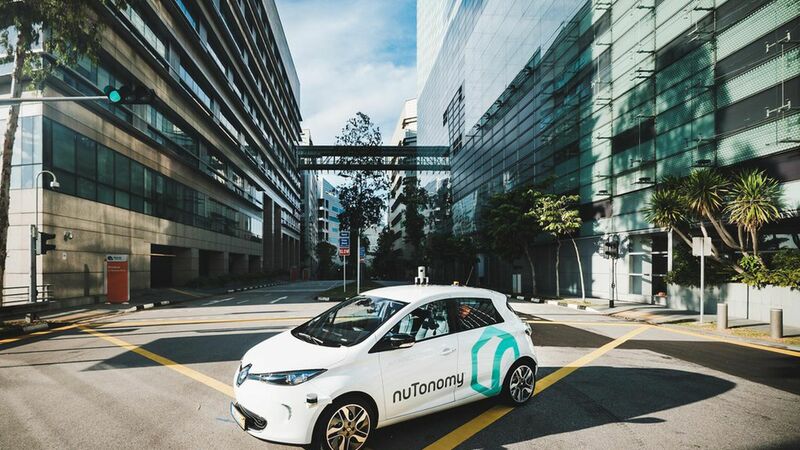 Who is nuTonomy: Founded in 2013 by MIT's Iagnemma and Emilio Frazzoli, nuTonomy is developing self-driving car software. The company began testing self-driving cars last year in Boston and Singapore (the latter in partnership with ride-hailing company Grab). To date, it has raised nearly $24 million in funding from Fontinalis Partners, Trucks Venture Capital, Highland Capital Partners, Signal Ventures, Bill Ford, and the government of Singapore, among others. What about GM? In January 2016, General Motors announced a $500 million investment into Lyft and a partnership for the companies to work on self-driving cars togethers. "The announced partnership between nuTonomy and Lyft does not affect our existing business relationship with Lyft," a GM spokesperson told Axios via email. "Our plan remains steadfast — we are on track to launch our self-driving technology first in a ride-sharing application," but declined to provide timing details for rolling out a test program with Lyft.